So You Chose the Wrong Major: What Now? A frustrated student surrounded by books. Photo courtesy of Shutterstock. This is one of the most common questions amongst new and recent graduates. And while we would love to dismiss these thoughts as meaningless, giddy new-grad jitters, we can’t. This scenario is not only possible, it’s actually quite common. The major you’ve chosen and the degree you’ve earned are going to be with you for the rest of your life. 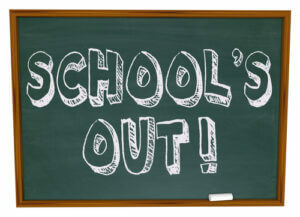 The words School’s Out written on a green chalkboard. Photo courtesy of Shutterstock. Summary: Your first year of college is officially over, and a sunny summer is on the horizon. Here’s what to do to set yourself up for an even brighter future. As the snow begins to melt and spring comes into view, you’ll be ready to cross off a major (if often uncelebrated) event in your adult life: The successful completion of your first year of college. If you’re anxious about making it through the first day of your entry level job, you are probably not thinking about how to make it through the first year. However, you can do it by considering some tips in the following post.